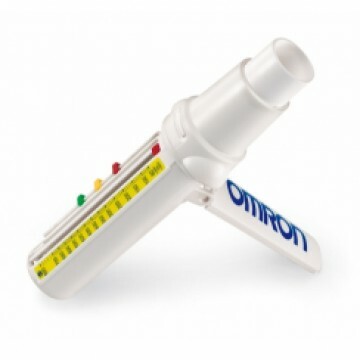 The Omron Peak Flow Meter PFM20 allows for accurate monitoring of peak expiratory flow in L/min, enabling easy, user-friendly therapy management for doctor and patient. The helpful zone-marking (red/yellow/green) allows an individual monitoring of the current state of bronchial obstruction, e.g. in the case of COPD.